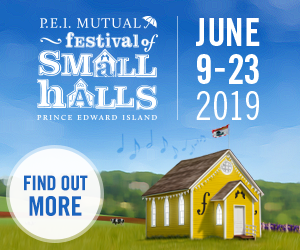 Presented every summer since 2006, the Ross Family Ceilidh has become a staple of the PEI roots music scene and a vacation highlight for travelers. This young brother-sister group is noted for full-throttle performances, doused in “crazy legs” and non-stop movement — You have to see it to believe it! Fun, engaging songs, backed by brisk fiddling, guitar picking and energetic piano playing, combine with synchronized step-dancing to deliver a memorable evening of entertainment for children, seniors and everyone in between! Also featuring performances by their mother, a Champion step-dancer. Responding to frequently sold-out shows, in 2017 the Ceilidh expanded to a beautiful new location: Clinton Hills, a restored 1959 dairy barn, pairing rustic PEI charm with today’s climate-controlled comfort and amenities. Strawberries & ice-cream and fresh meat pie available at intermission; licensed.